CBS News: "And I spoke with the educators and parents in the community about how important it was to have those three Ps: "Strong anti-bullying policy; procedures in place that protect the targets and hold bullies accountable; and programs in place that would say 'No more, not here, never' to mean and cruel [behavior] and teach young people how to stand up and speak out...Did they implement that?" asked "Early Show" anchor Maggie Rodriguez. "I think some of the schools actually did," Coloroso said, "but my concern when I went back and talked to the kids and then talked in the community meeting was, again, going back to those three P's - how important it is that we don’t just write bullying off as 'Boys will be boys, girls just want to be mean, it's part of growing up.' "It’s not like a conflict - it's about utter contempt for another human being," Coloroso said. "And it's so important that we stop that in its tracks." She said there are three groups that need to be part of ending bullying: "The kids themselves, because bullying [often] happens under the radar of adults; the parents, because you have to be taught to put somebody outside of your circle of caring and make them an 'it' so you so can do anything to them and not feel any shame or compassion; and school officials. We have as educators a legal obligation to keep our schools safe for everyone" (Bullying "Not Just a Part of Growing Up"). 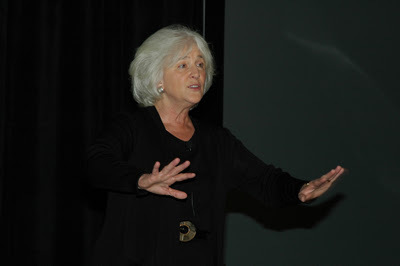 Barbara Coloroso, 58, is the author of three international bestsellers on the subjects of parenting, teaching, school discipline, and conflict resolution, including Just Because It’s Not Wrong Doesn’t Make It Right (Penguin Canada, 2005), her examination of ways to teach children ethics. In fact, it was a passage in that book that inspired the topic of Extraordinary Evil. “At the beginning, I have a cautionary tale about Rwanda,” says Coloroso, who has visited the country three times, both to work with orphans of the 1994 genocide and to lecture at the National University of Rwanda. She cites the story of a man who, at age 11, witnessed his parents and sister being slaughtered by machete (Quill & Quire).